Approximately 88sqm retail shop consisting of large display area with an office behind, with own toilet, carpeted throughout. Off street parking to the side of the shop for 1 or 2 cars. Situated next to the Nabiac Village Green complex, next to Pet Parlour, Takeaway, Nabiac Pub just around the corner, Doctor Surgery opposite. The complex also has a Chemist, Real estate, a Supermarket, plus several shops & another Café within 2 minute walk), with parking to the side of the shop. Previously Video shop, the premises are large enough to accommodate a retail outlet or professional rooms. Located 30km from Taree and 25km from Forster/Tuncurry. 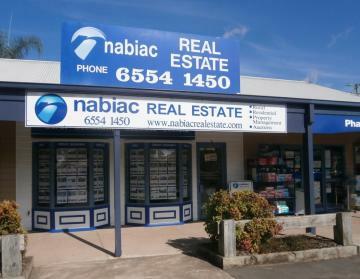 Nabiac has a thriving community and would welcome your business. Situated in a quiet street, pleasant 3 bedroom home with lino floors, combustion fireplace & timber kitchen. Situated on a large tree studded block with a double carport and storage room. Only 300 meters from the boat ramp and jetty. Not far from the Highway yet tranquil environment. References a must. RURAL LIFESTYLE 1 Bedroom cottage for rent in a rural setting. House paddock included with garden shed and no animals. Kitchen, combined bathroom and laundry, large lounge. $150.00 per week rent + $20.00 per week electricity. This 1 Bedroom cottage in a rural setting features a spacious kitchen and living area with a combined bathroom laundry. This property has fresh paint and carpet throughout, property includes house yard and garden shed only. Small 2 bedroom cottage plus a small study, new bathroom, couple of toilets. Single remote garage & a car port. If you have lots of ‘stuff’ there is also a large enclosed shed with an adjacent open shed. Very large outdoor area, possibly for a horse. Located only a few minutes drive to Tuncurry & Forster. Available now. Must have excellent rental references. This 3 &frac12; Bedroom older style home has a newly renovated interior consisting of new kitchen, floor coverings and blinds, and freshly painted throughout and has town water. The main bedroom with built-ins, a large lounge room with combustion fire place, and front and rear verandahs. Set on a sizeable block in a peaceful rural location only 5kms from the village of Nabiac, with access to school bus. This home is located in Dyers Crossing featuring 3 bedrooms all with carpet and venetian blinds, stylish kitchen with plenty of storage, electric oven and cook top, polished floor boards and internal laundry. There is plenty of room for the children to run around outside or maybe a horse with access to shedding. Situated just 8 minutes from Nabiac on a tar sealed road, Bus stop at door. This spacious 4 Bedroom home with ensuite and built-in wardrobes, features an open plan kitchen/dining area with a large family room. The dining room opens out to a full length verandah overlooking farms. There is a double lockup garage and a good size yard with established fruit trees. This home is located 10 minutes from Nabiac and 5 minutes to Krambach with the school bus stopping at your front door.